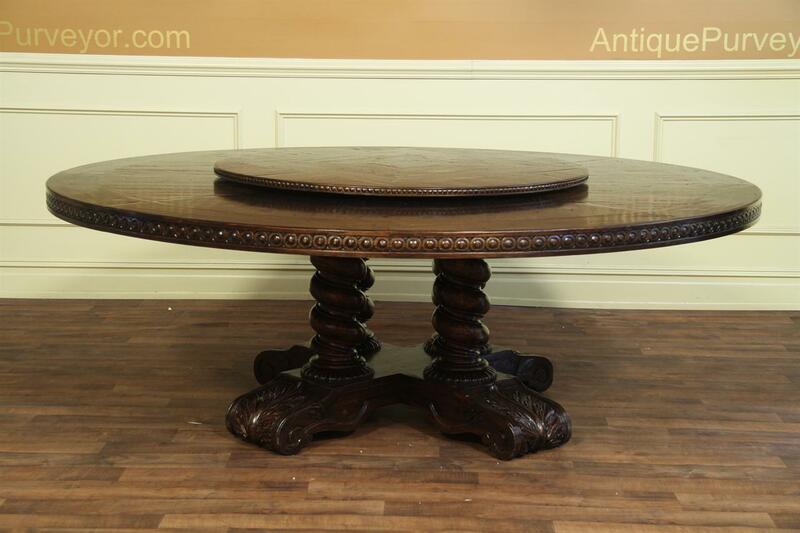 86 Round solid oak table with carved apron and base. 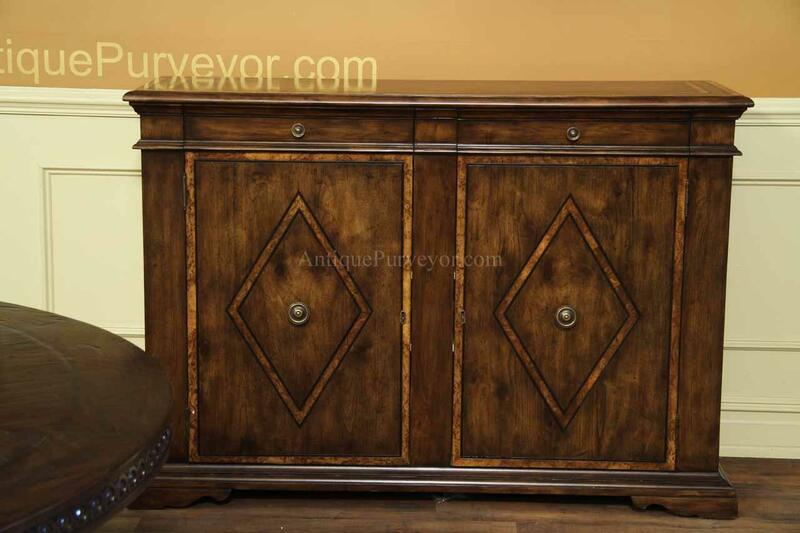 Dark walnut finish adds a rustic, casual style. 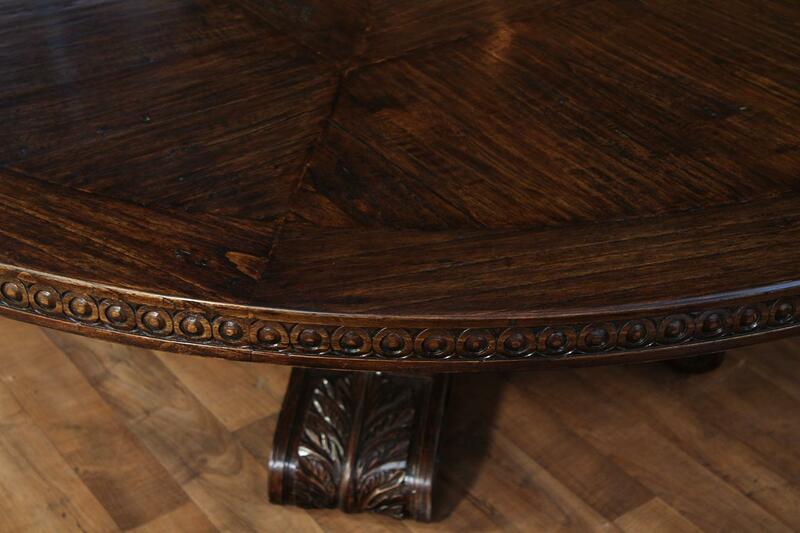 Extra large solid oak table with carved apron and base. 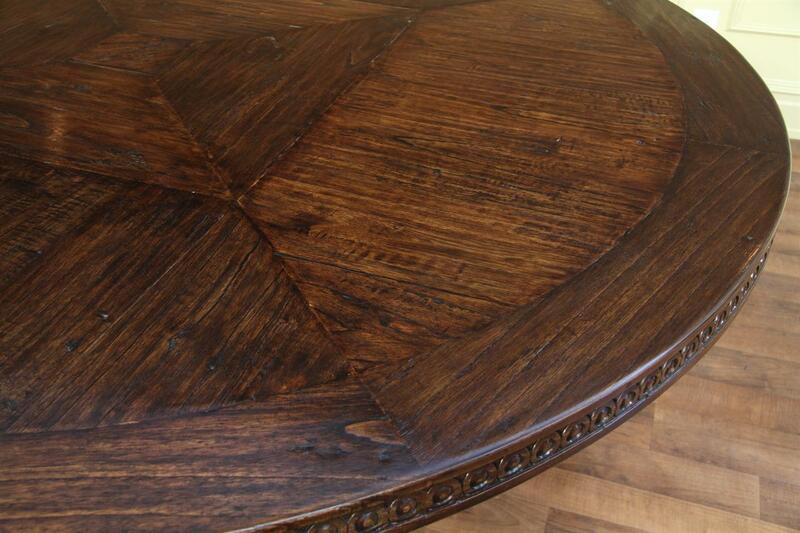 Available with matching lazy susan. 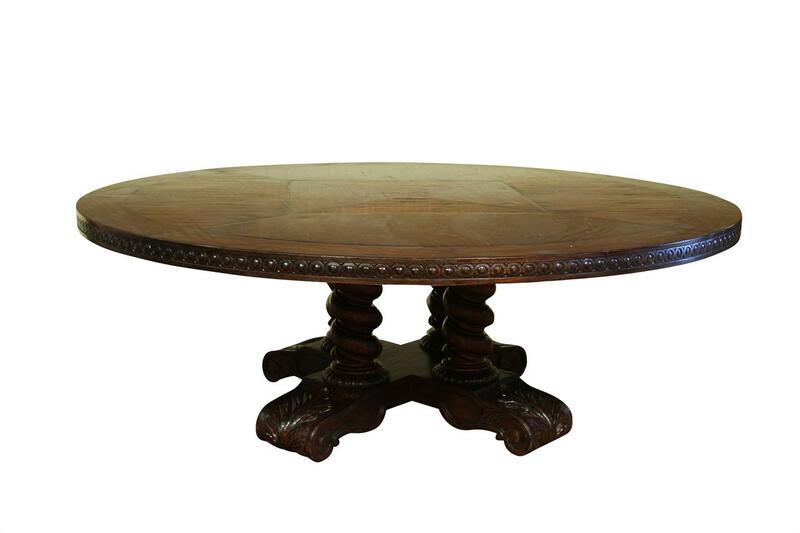 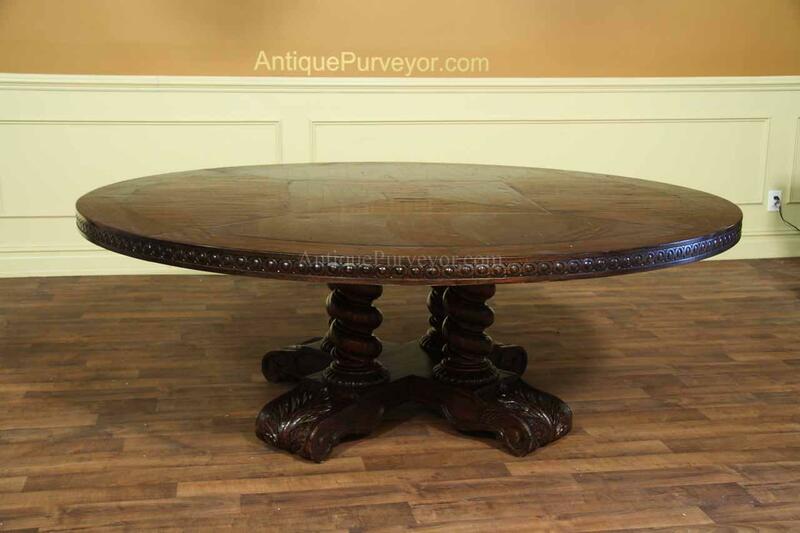 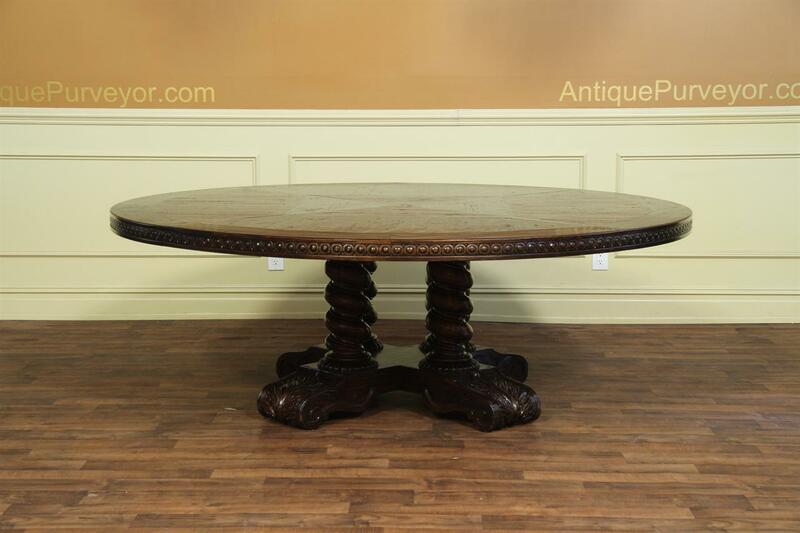 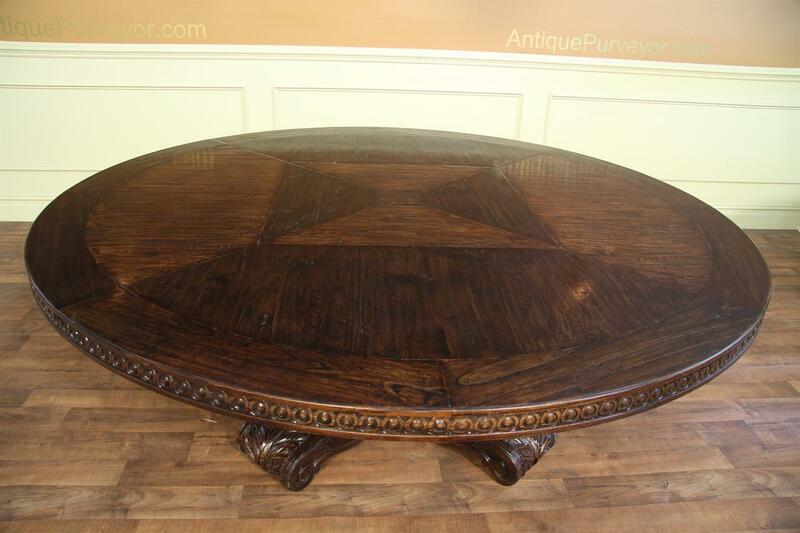 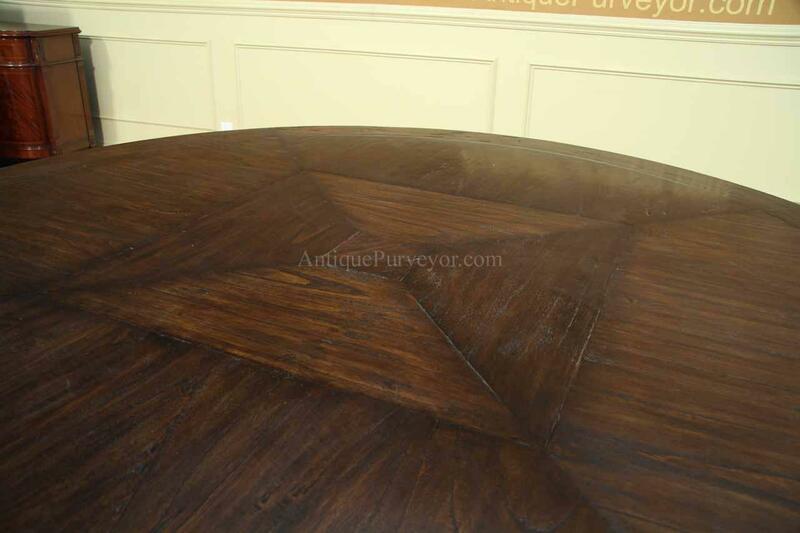 Description: Large 86 inch round solid oak rustic dining table finished in rich walnut. 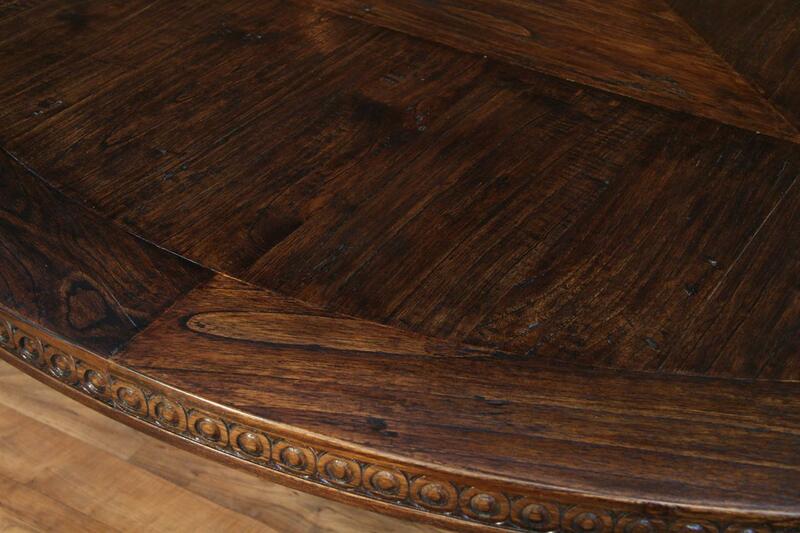 Rustic and family proof casual finish. 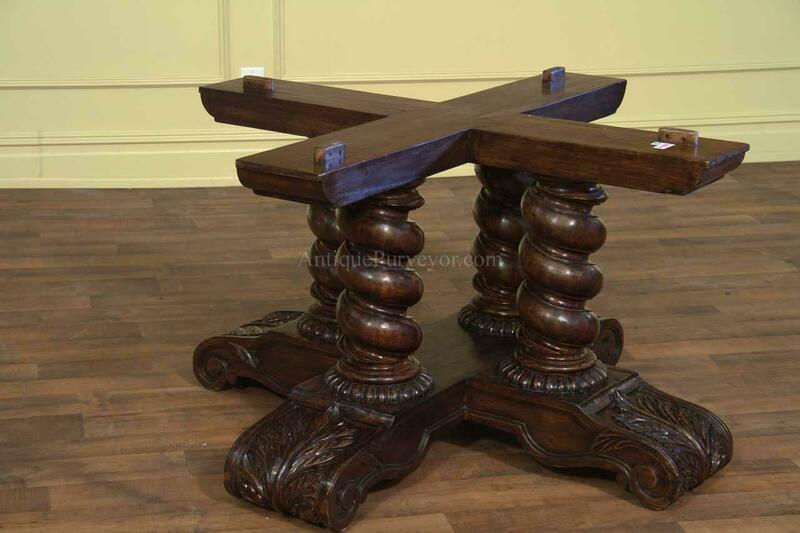 This is a heavy table and pedestal. 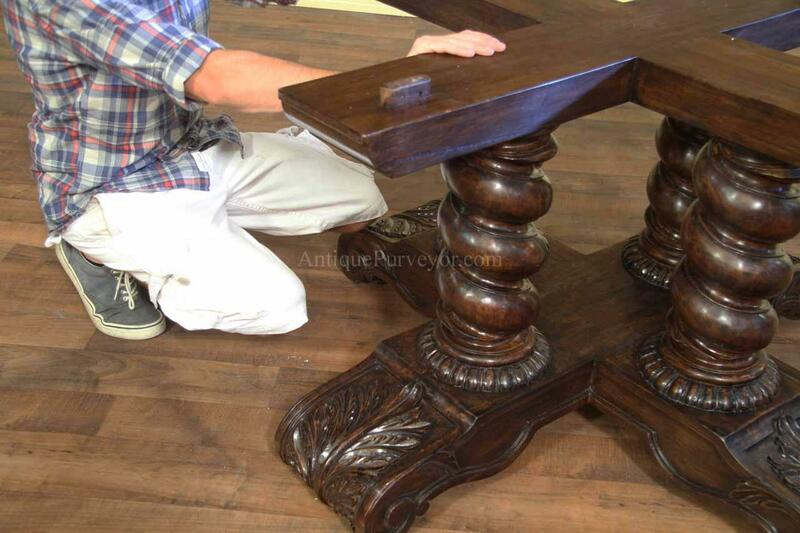 The table and pedestal weigh 385 pounds. 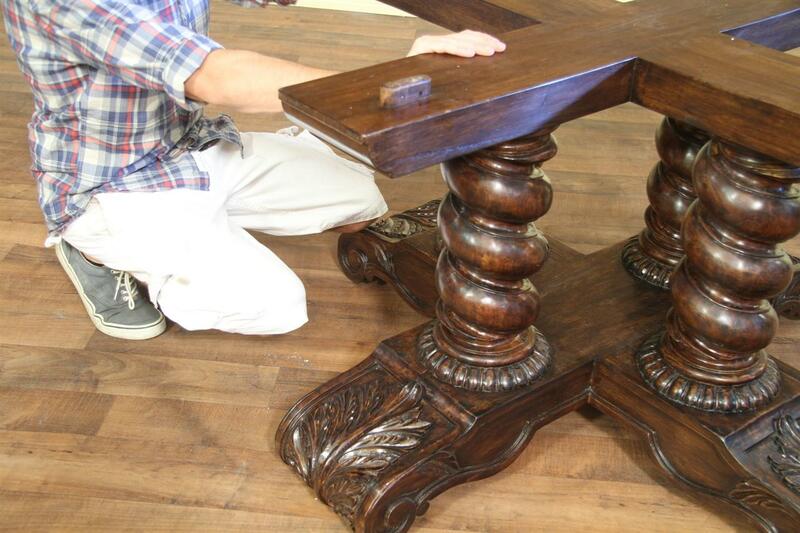 It is very sturdy. 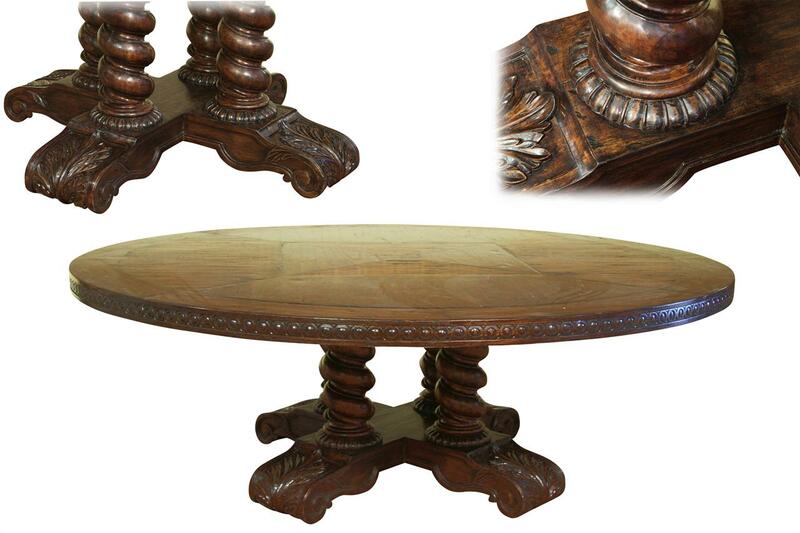 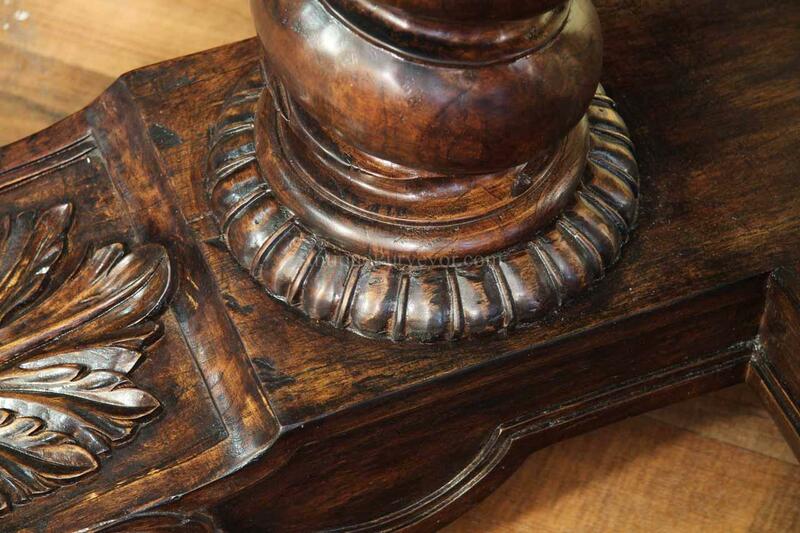 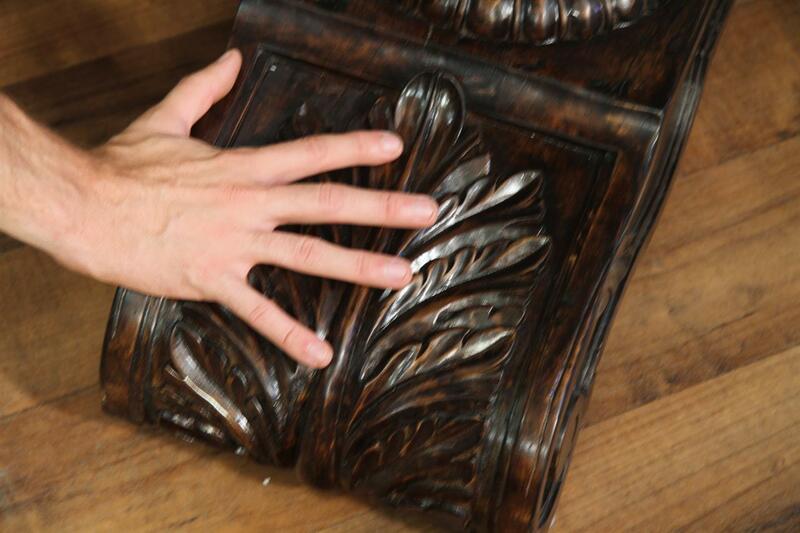 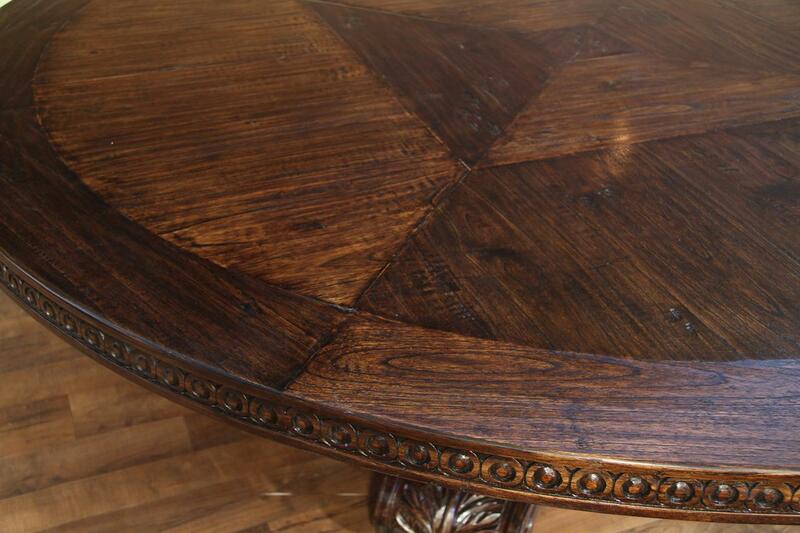 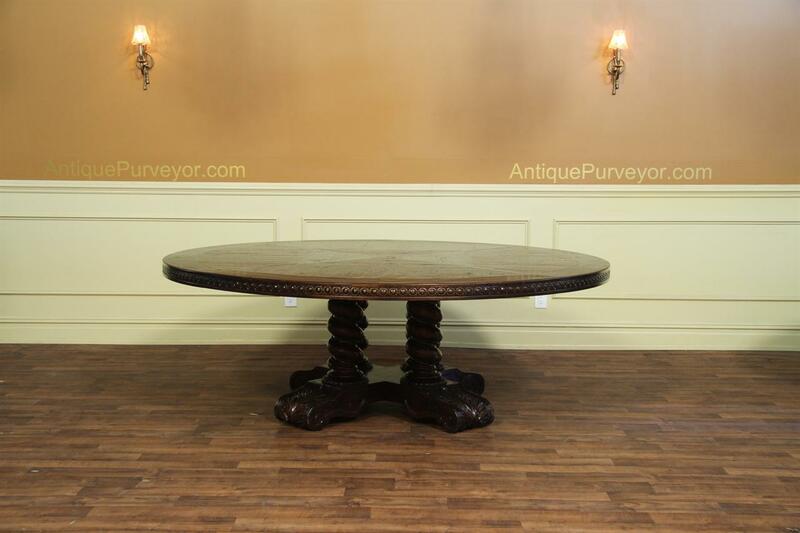 The edge of the table is carved with decorative shapes and the heavy rope turn pedestal columns are very significant. 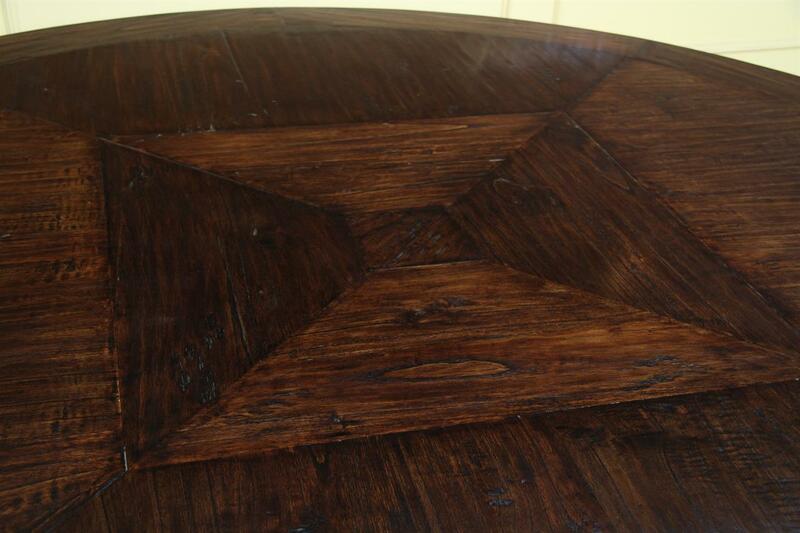 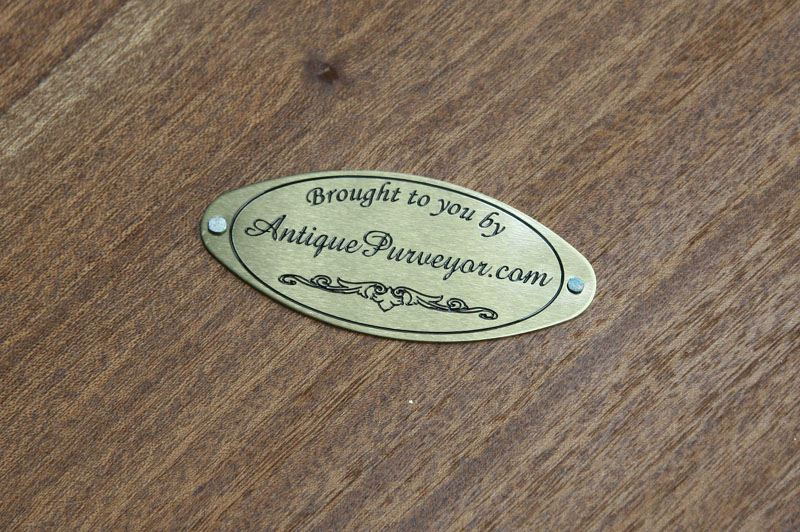 This table was photographed in our studio and the white particles you see in the pictures is dust. 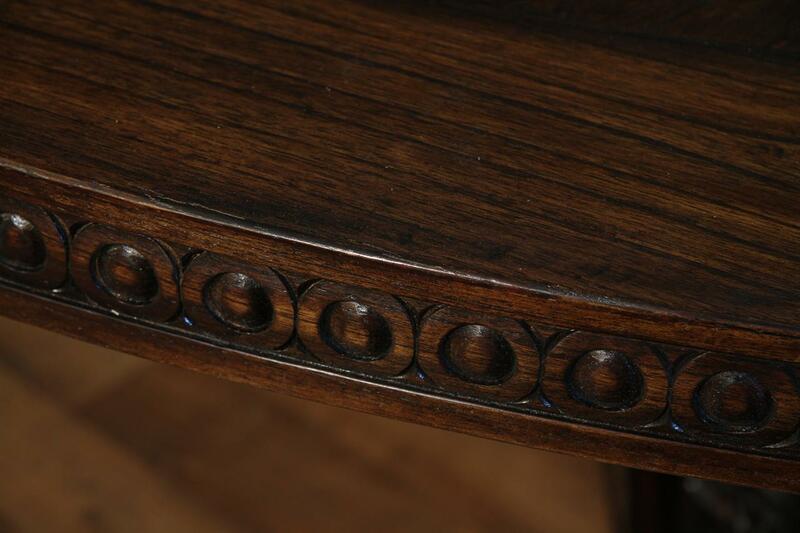 The finish is rich dark brown. 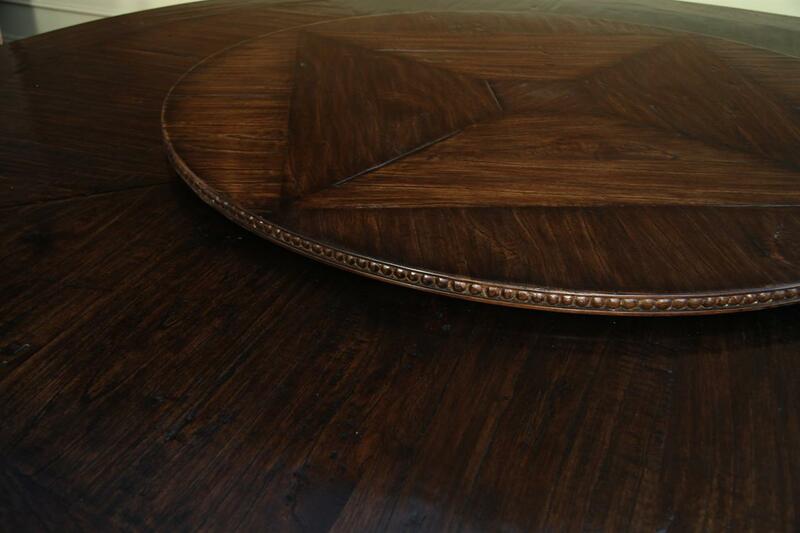 Great table for a walnut dining space. 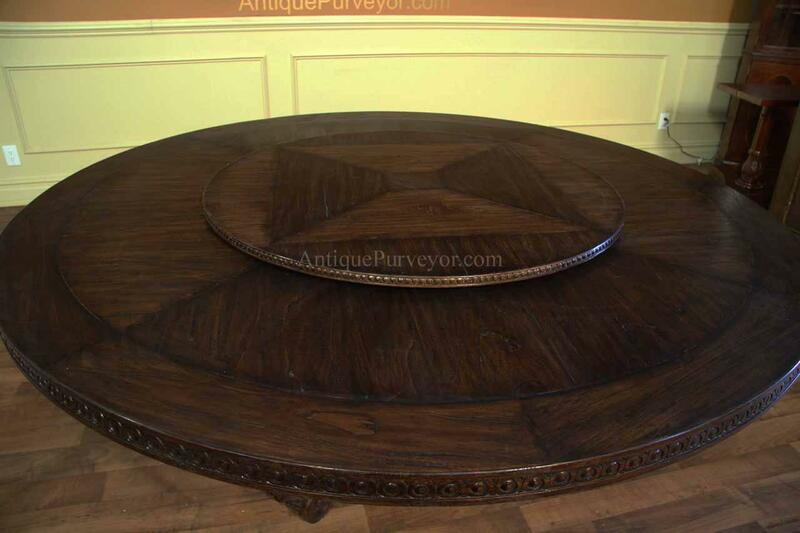 The Lazy susan you see pictured with this table is available as a seperate purchase. 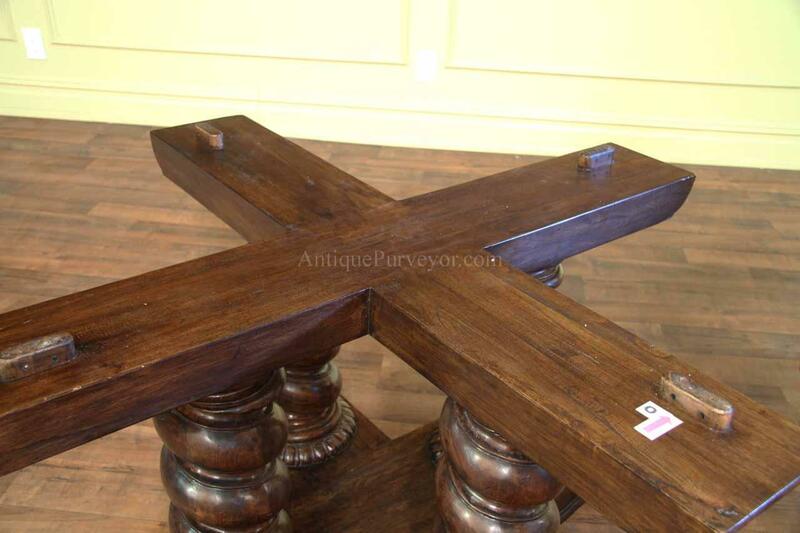 It is not included in the sale of this item.